Tableau Online is your analytics platform fully hosted in the cloud. Publish dashboards and share your discoveries with anyone. Invite colleagues or customers to explore hidden opportunities with interactive visualizations and accurate data. All easily accessible from a browser or on the go with our mobile apps. Get up and running in minutes and seamlessly add users as your needs grow. 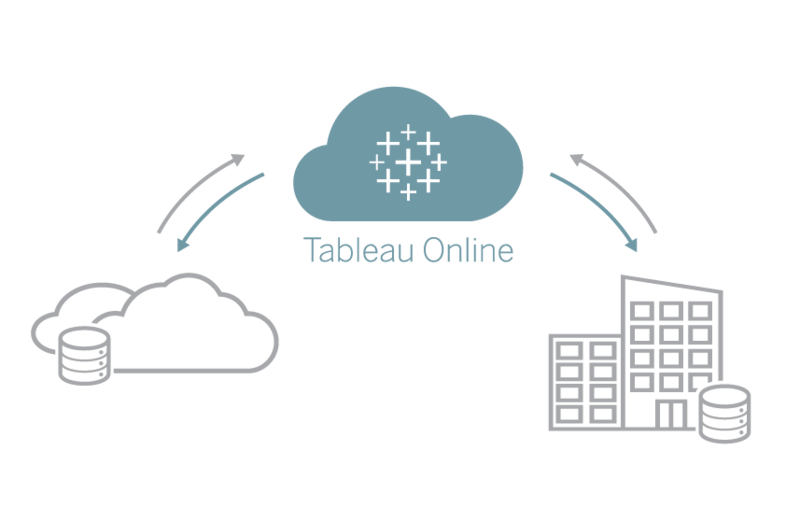 Tableau Online is a fully hosted solution, so you’ll never have to configure servers, manage software upgrades, or scale hardware capacity. Spark new insights—even on the go. Give people the power to explore interactive dashboards from anywhere. Drill down, highlight, and filter your data on the fly. Customize views with robust web editing and author new workbooks from published data. Connect to cloud databases like Amazon Redshift and Google BigQuery. Automatically refresh data from web apps like Google Analytics and Salesforce. Live query on-premises databases or schedule extract refreshes with Tableau Bridge — it’s your choice. Give external teams, partners, and clients simple and secure access to analytics, no virtual private networks required. Easily embed interactive dashboards on the web and within apps like Salesforce in just a few clicks. Empower site admins to easily manage authentication and permissions for users, content, and data. Rest easy knowing Tableau Online’s infrastructure meets all SOC 2 requirements. Dashboard Starters are designed to help you hit the ground running with actionable data in minutes. In just a few clicks, you’ll be able to connect to popular web applications and create pre-built dashboards seamlessly. 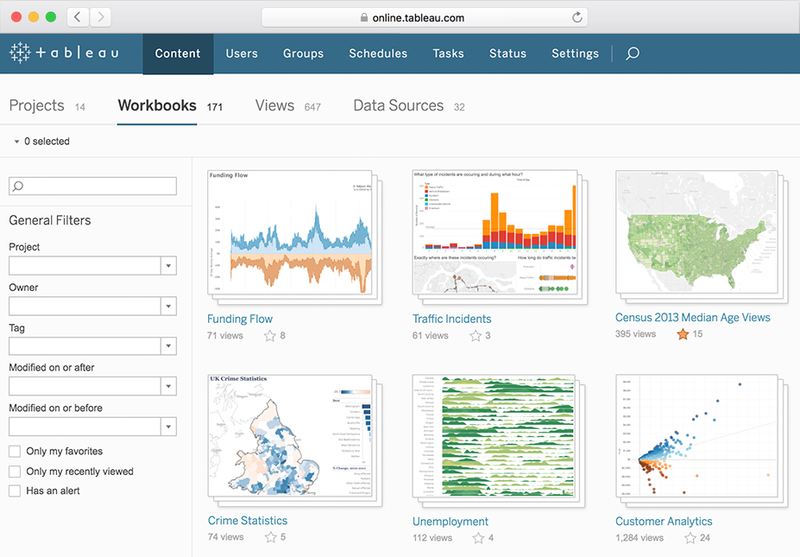 Tableau Online enables everyone in an organization to see and understand data, with offerings for every user type. Starting with casual users looking to make data driven decisions from a published dashboard, data enthusiasts who want to use web authoring to ask new questions from published data source, to data geeks who want to create and share their vizzes and data sources with the rest of the organization.